Do you run a second-hand goods business? The Schoolkids’ Bonus which replaced the Education Tax Refund from 1 January 2013. Cut the company tax rate by 1.5% to 28.5%. Impose a levy of 1.5% on companies with taxable income of $5 million or more to assist with funding the Coalition’s proposed Paid Parental Leave scheme. Delay the increase in the superannuation guarantee charge percentage from 9% to 12% by 2 years. Undertake a tax reform white paper process. It is worth noting that Parliament will resume on 12 November 2013 and will sit until 12 December 2013. These changes are just contained in exposure draft legislation only and are subject to consultation. Therefore the details of the wind back of these measures may change or may not occur as they need to pass through Parliament first. You should ask your tax adviser about the progress of these measures if any of these proposed changes are likely to affect you. Prior to the Federal election, the former Assistant Treasurer announced a measure to combat “dividend washing”. To assist taxpayers to understand what is proposed, the ATO has put some details about this measure on its website. Note that this measure has not yet been brought into the tax law. If you think that this measure may impact you, speak to your tax adviser about it to find out the progress of this measure. The requirement for an entity to hold an adjustment note can be waived in certain circumstances before attributing a decreasing adjustment (arising from a certain adjustment event in respect of an acquisition relating to a reimbursement) to a tax period when the entity holds a document that meets the information requirements prescribed in the relevant legislative instrument. A legislative instrument was made to amend the existing legislative instrument that details the information required to be included on an adjustment note. The ATO has revised the ruling that it has issued in relation to adjustment notes. when the Commissioner will treat a particular document as an adjustment note even though that document does not meet all of the adjustment note requirements under the GST Act. The Bill that contains this change lapsed as a result of Parliament being prorogued due to the Federal election. As Parliament will be resuming in November and December, it is possible that this proposed legislative change could be reintroduced into Parliament later this year. DO YOU RUN A SECOND-HANDGOODS BUSINESS? The ATO has issued a determination in relation to second-hand goods acquired for the purpose of sale in the ordinary course of business, GSTD 2013/2. Second-hand goods are acquired for the purpose of sale in the ordinary course of business under the relevant provisions of the GST Act where an entity that acquires second-hand goods is in the business of buying and selling second-hand goods, and the goods are acquired for the purpose of being sold in the ordinary course of that business. Second-hand goods are not acquired for the purpose of sale in the ordinary course of business under the relevant provisions of the GST Act where the goods are acquired only in order to be leased, or where there is simply an intention that the goods will ultimately be sold after they are no longer required (except in the circumstances noted in the Determination). If you acquire second-hand goods as part of your business, see your tax agent to see if you are correctly accounting for them for GST purposes. The ATO recently released Taxation Ruling TR 2013/6 which sets out the Commissioner’s views on whether a ‘once-only deduction’ arises in calculating the taxable value of an ‘external expense payment fringe benefit’. This concerns a deduction from the expenditure associated with that fringe benefit and whether that expenditure would be subject to the loss deferral rules affecting losses from non-commercial business activities under the income tax law. An associated Taxation Determination TD 2013/20 was released at the same time concerning this type of expenditure and salary sacrifice arrangements. Your tax agent will be able to assist you to determine whether there are any implications for you in relation to expenditure incurred associated with providing expense payment fringe benefits. During October 2013, the ATO issued letters to directors of companies that have unpaid superannuation guarantee amounts. The letter explains the director’s obligations and personal risk in relation to their company’s superannuation guarantee debt. It encourages directors to ensure their company addresses the outstanding superannuation guarantee debt either by paying it immediately or by establishing an agreed payment plan. The letter follows changes that were made on 1 July 2012 to the tax and superannuation laws to reduce the scope for companies avoiding superannuation guarantee liabilities. If you are a director of a company and you have received one of these letters, speak to your tax agent about what you should do. If you are a director of a company and you have not received one of these letters, now may be a good time to check to make sure your company is meeting its superannuation guarantee obligations anyway. Starting and stopping a pension: The ATO has released an SMSF News Alert. The News Alert summarises the contents of recently released Taxation Ruling TR 2013/5, entitled "Income Tax: when a superannuation income stream commences and ceases". Changes to appointing an approved SMSF auditor. Though the loss carry-back measure is likely to be repealed (as noted above), it is available for the 2013 income year (year ended 30 June 2013). As such, the ATO has noted that it has received a number of 2013 Company tax returns where the loss carry-back tax offset has been claimed incorrectly. This has caused delays in processing 2013 Company tax returns. the franking account balance at the end of the financial year in which the claim is made. To prevent further delays in processing, some changes have been made to the electronic lodgment service (ELS). Talk to your tax agent to see if you are eligible to carry back losses. The ATO has published its October 2013 Business Communicator which has news and updates for businesses with an annual turnover between $2 million and $250 million. The ATO has published its latest “Back to business” bulletin, a quarterly newsletter that provides information to help taxpayers understand their tax obligations and handy tips to complete their business activity statement. A copy of this bulletin can be accessed on the ATO website. The ATO advises that its small business benchmarks have been updated with data from the 2010-11 financial year. 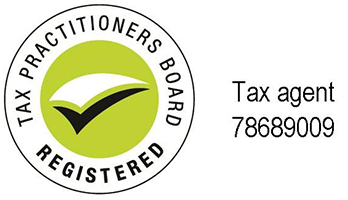 More information about benchmarks can be found on the ATO website. Each year, the ATO adjusts PAYG instalment amounts using a formula that takes into account expected growth in the economy. This is known as the "gross domestic product (GDP) adjustment" and is based on data published by the Australian Bureau of Statistics. For your information, the GDP adjustment the ATO will use to work out a taxpayer’s PAYG instalment amounts for the 2013-14 income year is 3%. ARE YOU AFFECTED BY THE NSW BUSHFIRES? The ATO has advised tax practitioners that if they or their clients are located in one of the bush fire affected postcodes identified on the ATO website, the ATO will automatically make arrangements to defer taxation obligations. If you have been affected by the NSW bushfires, speak to your tax agent about arrangements you may be able to make with the ATO in relation to your tax obligations.